Udaipur is famous for its beautiful lakes and palaces. It is a popular tourist destination in India. The lakes, palaces and lively workspaces and culture attract foreign and domestic visitors. It is a favorite marriage destination for couples too. As such different hotels have come up to provide the best of facilities to its tourists. 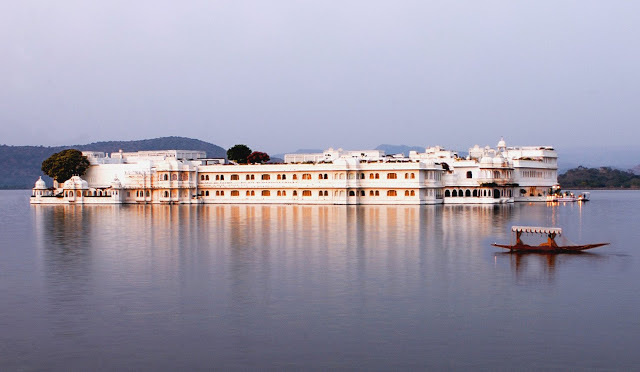 A few of the best rated Luxury Hotels in Udaipur are mentioned below. Have a look for your next stay in this City of Lakes. 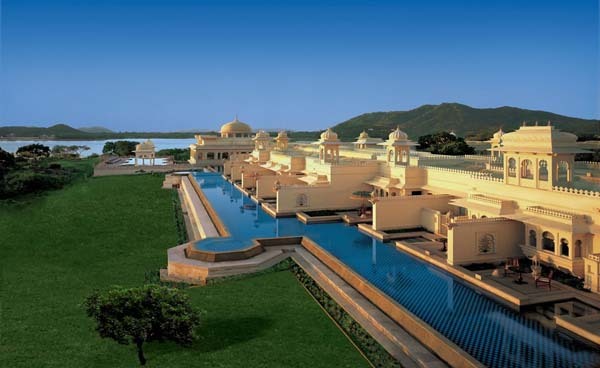 The Leela Palace Kempinski is one of luxury hotels in Udaipur. 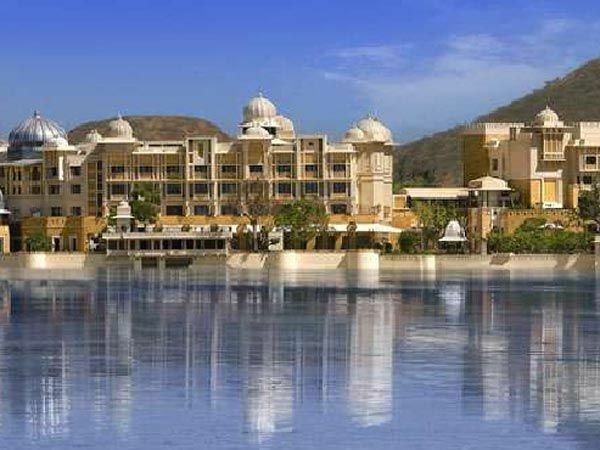 It provides the view of the breathtaking Aravali Mountains that stands majestically on the banks of Lake Pichola. It has 72 Rooms and 8 Suites each with the mesmerizing view of the lake. The rooms are finely appointed with artifacts and furnishings representing the handicrafts of Rajasthan. It offers its guests the tranquil setting of exploring the rich heritage of its surroundings in style and comfort. There is also a gym fitted with the finest of equipment and personal trainers. People also come here to celebrate an event in grandeur or for intimate meeting with inspirational surroundings in their meeting rooms, board room, business center and banquet halls. Udaivilas is located on the Lake Pichola overlooking its beautiful island palaces and the Udaipur City Palace. This villa is a reflection of the rich heritage of royal Mewar. It has a professionally run non-clinical spa with private therapy suites. The spa offers a selection of treatments ranging from ayurveda to aromatherapy. The hotel has 2 heated swimming pools, a gymnasium, library, music and video discs, boat rides and sight seeing tours. There is a 20-acre Wildlife Coservatory on the premises too. The bedrooms are spacious and elegantly appointed with marble bathrooms overlooking the private walled courtyards. It has extensive state-of-the-art conferencing facilities for up to 150 people. It is indeed one of the luxury hotels in Udaipur. This exquisite white marble palace seems to be majestically floating on the still waters of Lake Pichola. This 250-year old palace is set amid the awe-inspiring fairytale gardens and is considered to be the most romantic hotel in the world. The palace brims with princely details like marble pillars, ornate glasswork, intricate paintings etc. There are 83 rooms including 17 suites in total. Each room sees a lily pond or a terrace. The Lily Pond Courtyard seems to be perfect for small, outdoor dinners. On the lake, ceremonial barges can host exclusive parties too. The 18th century Devi Garh by lebua is one of the three main passes into the valley of Udaipur. It has 39 suites with beautiful design and details on local marbles and semi-precious stones. They are unique, luxurious and beautiful and equipped with the modern facilities. The contemporary design showcased within this spectacular heritage property is further complemented by personalized and intimate service. This Fort palace is conceived as a place where the past meets the future. It is nested on the Aravali Hills. 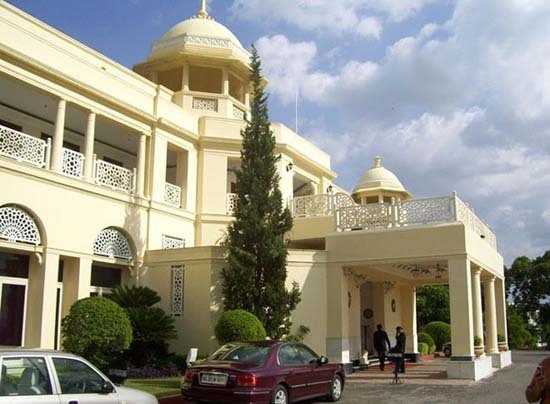 The Lalit Laxmi Vilas Palace is another budget hotels Udaipur located with the majestic Aravalli hills in its backdrop that run over 350 miles. 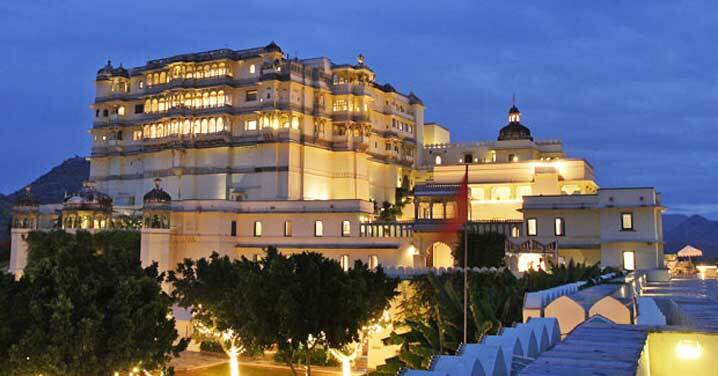 This beautiful palace which is characterized by the grandeur of royalty is located in the heart of Rajasthan. This heritage hotel has a grand architecture that reflects the culture of its time. It is the heritage property facing Fateh Sagar Lake. The hotel is well connected with the national highways, railway station and airport. The 55 room property, offers the option of choosing rooms from the elegantly decorated Heritage wing to the Shri Nath Ji wing with sprawling ambience and room features such as 24 hours in-room dining, Wi Fi connectivity, central air-condition, in room safe, mini bar, direct dialing telephones, LCD TV, Business Centre and Fitness Centre.